It was the first ejection of the season for David Ortiz. David Ortiz was ejected from the Orioles-Red Sox game in the fifth inning on Sunday for arguing balls and strikes. Third base umpire Jerry Meals called a checked swing a strike and Ortiz flung his bat down at the plate. Home plate umpire John Tumpane ejected him a few seconds later. 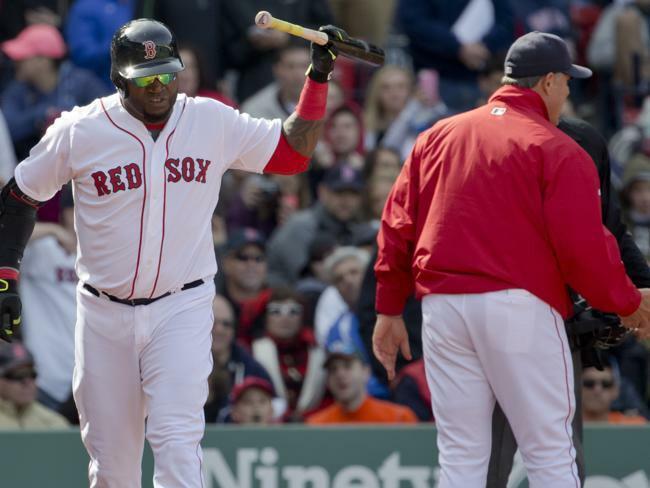 Ortiz continued to rage until manager John Farrell pushed him away. He then flung his bat down again and left a trail of equipment on his way back to the dugout. Brock Holt is starting at second base against the Baltimore Orioles on Sunday. 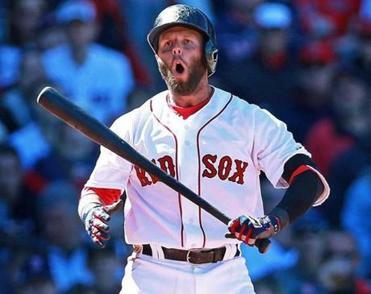 Daniel Nava came in for Ortiz and grounded to shortstop. It was the first ejection of the season for Ortiz.